I’ve finally put all my Version 2 workbooks, games and two moveable alphabets into my shop, and made videos about all of them so you can see what they’re like before deciding whether they would be useful to you. 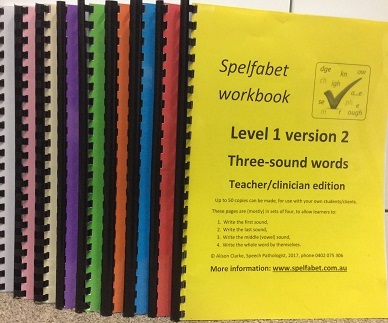 There are now nine workbooks, since I’ve combined the old workbooks 2 and 3 into a single workbook 2, and added a workbook 3 which provides a gentle introduction to vowel spellings and syllable types before diving into their full complexity in Workbooks 4 and 5. 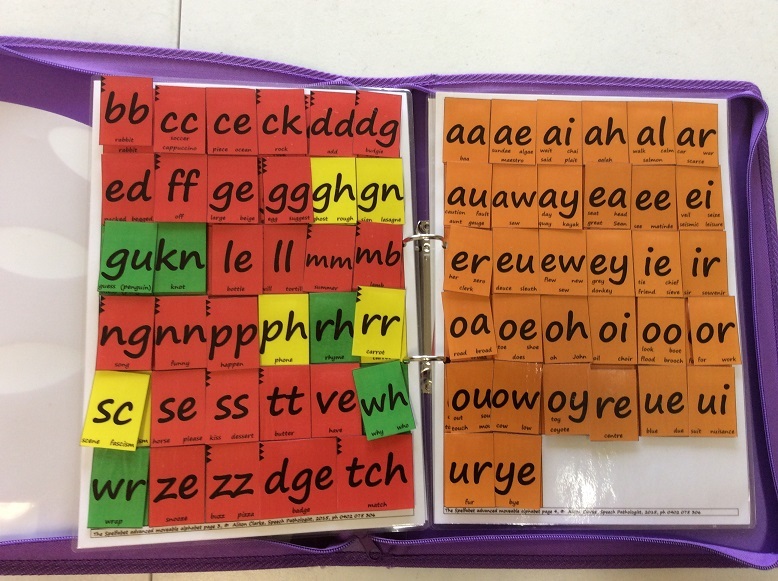 I’ve added more words with more than one syllable to Workbooks 4 and 5, and Workbook 6 covers additional consonant spellings much more extensively than the old version, and takes out the overlaps section, which is more about reading than spelling. Workbook 7 covers homophones and prefixes, Workbook 8 covers suffixes including stuff like changing y to i and Latin suffixes, and workbook 9 deals with additional Latin and Greek word parts. So there is much more about long words and morphology in this version. There are video tours of all the new workbooks here. You can download the first few pages of each one to check out the table of contents and instructions, and try out some pages with your learner(s) here. There are two versions of the workbooks, a parent/aide one for people who only need between one and five copies, and a teacher/clinician one for those who want to make up to 50 copies. I found that some schools were making dozens of copies but paying the same amount as parents making only one, and decided it was fair to ask people doing that to pay a little more, and that I should pay the copyright holders of the pictures a little more too when that happens. The parent/aide whole kit is the same price as previously but contains more material. The new materials are all in a single, fairly simple, handwriting-like font without too many curly-wurly bits. I found that the cursive font I was using had extraneous loops and joins and shapes that caused confusion (m and n, v and r, o and d etc), and the Comic Sans version had a letter y that was like a v with a tail, when I was trying to encourage a rounded letter y in handwriting. I’ve been using these books for years now and had lots of feedback from various people about them, so where a vocabulary item wasn’t popular or caused unintended problems, I have replaced it. 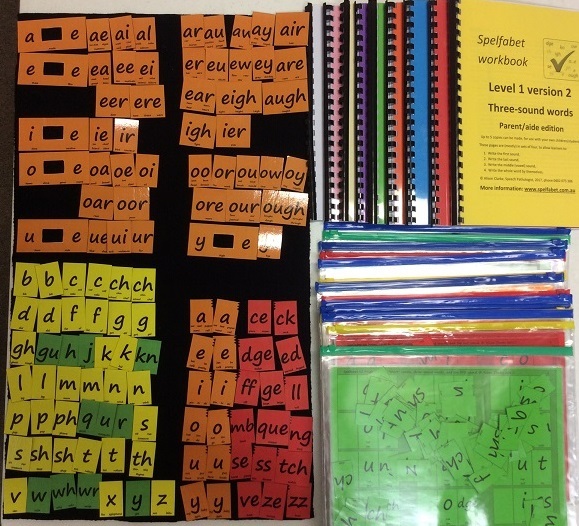 The word lists at the back of each workbook often were not getting much use, so they are gone, but if you need wordlists just search for them on my website e.g. if you want a list of “igh” words, put “spelfabet igh as in night” into a search engine, Google almost always brings up the list I want when I do this. I hope this saves paper. I have brought “wh” as in “when” up into Level 1 and added high-frequency words like “come” and “done” and open and closed syllables like be/bet and no/not at the end of this workbook, plus taken out the truncated words. I have made a second, more extensive moveable alphabet for people who want to build long and complex words, not just words of one syllable. It has more copies of high-use spellings, plus additional spellings that occur mostly in long words. I keep mine in a zip closure folder with the pieces attached with velcro, and use a second copy as the pages, so that it’s easy for other people to know where to put each piece when packing it up. The bingo-style games are much as they were, but in the new font, and I have separated out the “ee” and “ea” bingo games as I found the old version which combined them too confusing for some students. As well as being able to buy everything as a single kit with a significant discount, you can now also get beginners, intermediate and advanced kits. The beginner’s kit includes all the bingo-style games along with the first three workbooks and moveable alphabet. The other two kits are sets of three workbooks each, plus the advanced moveable alphabet. I had these materials almost finished early this year, but then kept finding errors and editing them. I could probably keep polishing them indefinitely, but can’t find any more errors of significance, and at some point one must draw the line. If you can still find a mistake that affects the usability of the resources (e.g. wrong word or picture, spelling missing at top of page) which nobody else has drawn to my attention, and tell me about it, I will fix it and send you the revised version, and also post you a free pack of these cards to say thanks. These cards are normally only available at conferences or to my own clients, or from the DSF website (I’m too busy to mail them out). I hope you like the new version, but if you prefer a previous version, or haven’t finished downloading everything you’ve bought, you can still log in and finish downloading, and still buy version 1 materials. 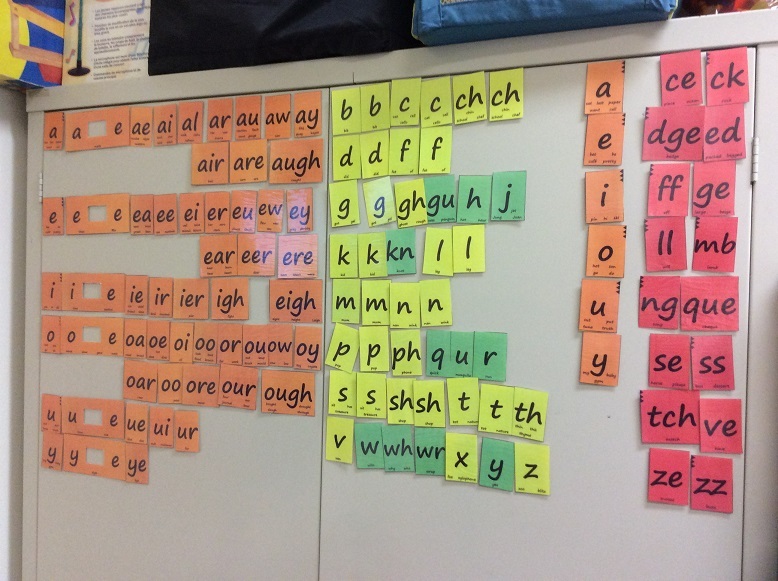 This entry was posted in blending and segmenting, phonics activities, phonics games, teaching strategies on June 26, 2017 by alison.